For use with Sys*Stim 226 Muscle Stimulator. Single wire electrode cable for combination therapy with special international-type connector. 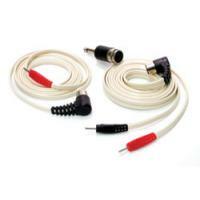 Stimulator & Electrode Accessories can be found in our extensive online collection of products from globally recognized and trusted brands, including Mettler Electronics. An excellent option to consider is the Single Patient Cord for Combo Therapy, Set of 3.